Alondra 2 PC sectional includes sofa tux and arm loveseat in a charcoal fabric. 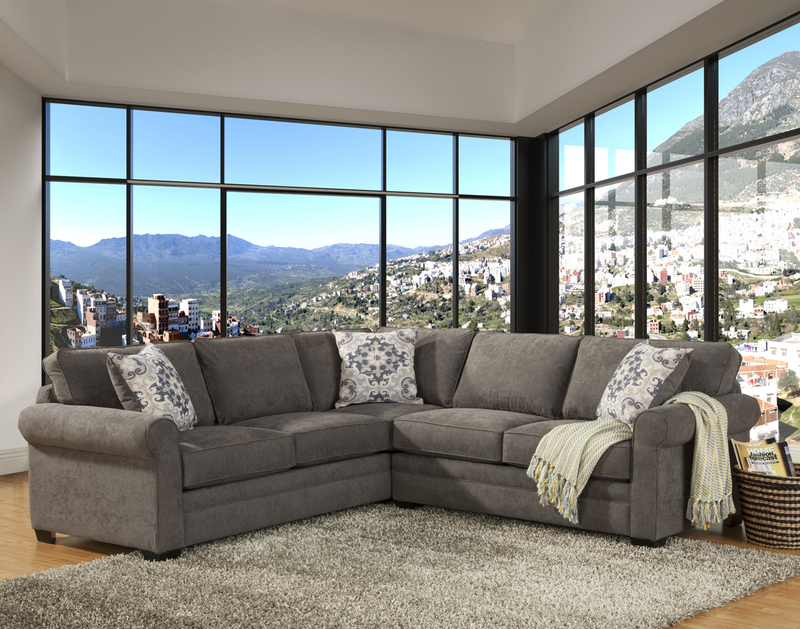 Sectional features pocket coil seat cushions for added support and comfort. Accents pillows are included. Dimensions: L101" x L101" x H 38" x D37"